Fashion Maven... Mommy: Ultimate Outlet... Your Ultimate Shopping Experience! Ultimate Outlet... Your Ultimate Shopping Experience! Don't you just love a bargain? Girlfriend, so do I! So when I came across Ultimate Outlet, I was instantly smitten by their super cute selection with prices that are almost too good to be true! Ultimate Outlet carries everything from fashion, swimwear and intimates to shoes and accessories. Ahhhh, what more could a girl ask for?! Well, a girl could ask for all those things at wallet friendly prices right? Well, worry not because Ultimate Outlet has you covered from head to toe! 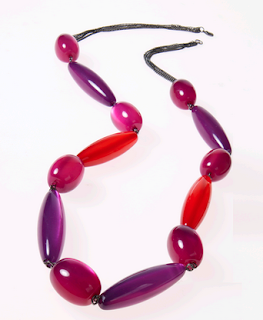 They feature some well established brands such as Spiegel, Shape FX and New Port News! The other thing I love about Ultimate Outlet is that there is something for every shape and size! I'm definitely not a size 0 so I can certainly appreciate finding some great 'curve friendly' items! So, I've been busy doing some online shopping here and thought it'd be fun to share some of my 'virtual shopping cart' favorites with you! Check out this GORGEOUS Beaded Georgette V-Neck Dress by Shape FX! It's perfect for an evening affair, yet looks comfy and easy! The best part? It's under $30!!! I know!!!!! You're welcome! I’ve been a fan of caftans for quite some time now. There’s just something about them that exudes elegance! 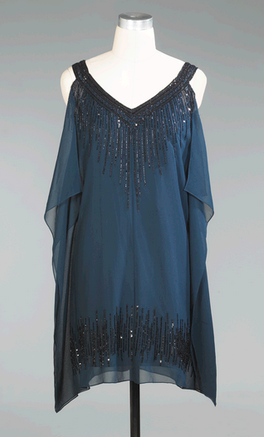 I’m soooo taking this Elegantly Beaded Caftan on my upcoming European vacation! Don’t you think it’ll look gorge poolside, perhaps with a martini in hand? 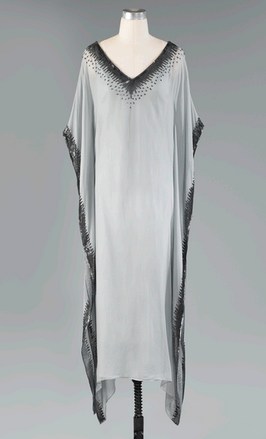 Hmmm I wonder if this caftan comes equipped with a pool concierge? You know, in case I need an evian spritz or something? I’ll have to look into that! Of course, i'll need some casual options too. 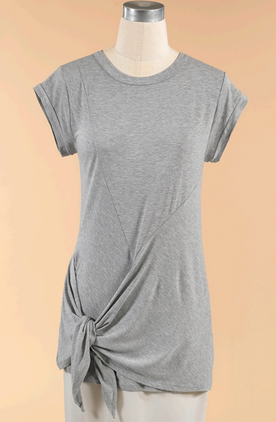 This fun Handkerchief Hem T-Shirt will look fab with these super cute leggings! Europe has some amazing sightseeing and shopping! This outfit is sure to keep me comfy and stylish while enjoying all of those things! 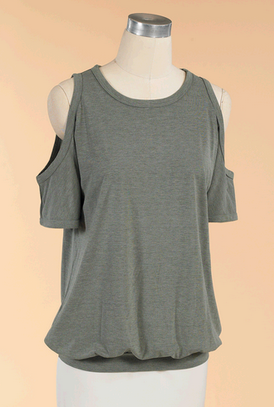 Another great casual option is this Cutout Shoulder T-Shirt! A great pair of jeans would compliment this easy yet super fun top! If you're looking for a great pair of pants that will transition beautifully into fall, look no further than these gorge wide let tailored pants! They're stylish, chic, and can easily transition your look from day to night! Now sit down... seriously, sit down! 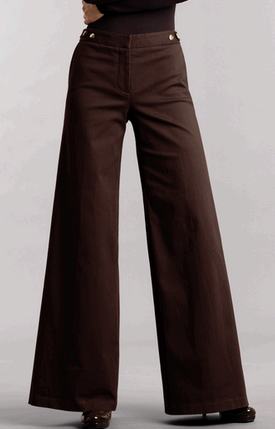 Take a deep breath.... these pants are on sale for $6! I promise i'm not making this up! I know, I know... too good to be true! But it IS TRUE! Not lets chat about accessories! I believe that accessories are everything! 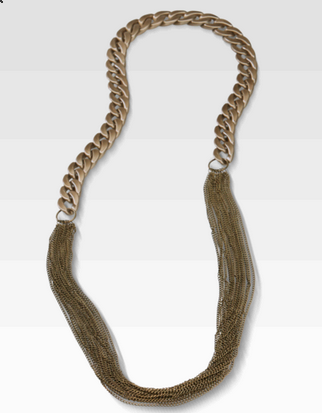 This colorful beaded necklace and this chain link necklace will instantly dress up even the most casual of outfits! Lastly, this wouldn't be a fashion post if I didn't channel my inner Rachel Zoe for moment! This faux fur vest will have you shouting 'I die' and 'bananas' as you strut your glamorous self around town! I'm absolutely smitten by this gorgeous vest and love the way it's styled on the model. Perfection at its best! So you see, Ultimate Outlet will have you covered no matter what your size, style or budget! There's something here for everyone at prices that are almost unheard of! So do yourself a favor and check them out stat! Your wallet will thank you for it! For more information, visit www.ultimateoutlet.com! I really love that first dress and those tee are pretty fab!